ESL (English as Second Language) - also known as EFL (English as a Foreign Language) - is the process of teaching of English to people who are not native speakers of the language. Many people attend such classes in order to improve their English language skills, and may do so for business or professional reasons, or just for the fun of it. In typical ESL classes, as many as possible of the classroom activities are conducted in English, so as to encourage fast learning. Typical classroom activities can include reading, speaking, role-play, and games. One such game that is well-suited to ESL is bingo. In ESL bingo, students are each given bingo cards printed with English words or phrases, rather than the usual numbers. The words or phrases may be chosen around a particular subject or topic, for example, travel or food, or they can be taken from a general list. The students then play bingo with the teacher taking the role of bingo caller. Of course, all the activities associated with the game, not just the bingo calls, should be conducted entirely in English. ESL bingo is a lot of fun, and because words and phrases can be chosen for around any subject, it is flexible enough to be adapted to practising the vocabulary relating to any topic. 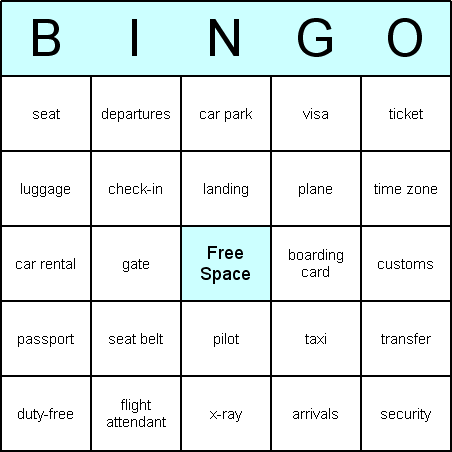 The main requirement that ESL teachers need to play this bingo game in class is of course a set of bingo cards printed with their chosen words or phrases. While it is possible to buy preprinted bingo cards, these don't give you a choice of words/phrases and can be expensive. A much better solution is to download some bingo card maker software, and then the teacher can print out custom bingo cards, containing anything she wants, from her computer.